Who Can Benefit From our Pet Colostrum Formula? This is a gentle, safe product that delivers fabulous results! 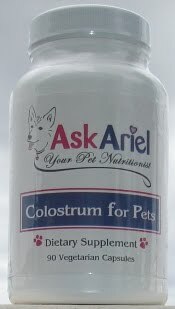 Colostrum has been shown in research studies to enhance the digestive system and immune function. Our Pet Colostrum Formula is backed by scientific research AND independent third party testing. In fact, in a recent third party study that explored the product’s bioactive properties and ability to repair damaged cells as well as protect healthy cells, the Tegricel colostrum found in the Colostrum For Pets was shown to be three times as effective as the leading New Zealand colostrum supplier.